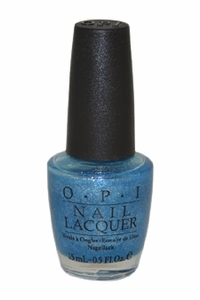 OPI Nail Polish, Can't You Sea?, NLB50, .50 fl. oz. Semi-sheer blue shimmer nail color. OPI Brighter By The Dozen Collection.